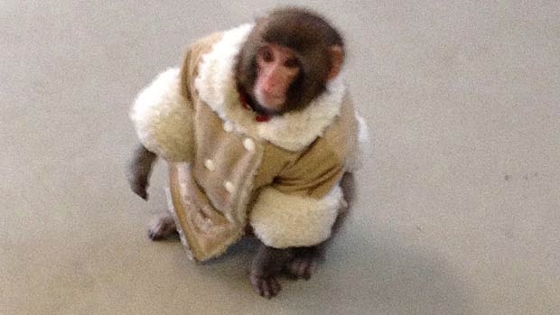 The fate of Ikea monkey Darwin was announced today at the Ontario Superior Court in Oshawa. He has been a social media and global news sensation, ever since he was filmed by shoppers at a North York Ikea store after escaping from his owner's car and wandering around the parking area wearing a shearling coat last December. Today's court ruling alone made the front page of news websites for CBC, CNN and BBC. Justice Mary Valee ruled that the Japanese Macaque was a wild animal, and bylaw officers that picked up the animal did so within the law. She agreed that there was a valid concern for the transmission of disease via the monkey. According to the ruling, Darwin will stay at the Story Book Primate Sanctuary in Sunderland permanently, where he has been staying since being transferred from Toronto Animal Services.